The third annual 10k run organised by Brue Valley Rotary Club will be held on 30th September 2012 starting at Cranmore station at 11 am.. This year the route has been changed to include more off road sections than in the past two years. According to Wikipedia, the original Cranmore Chase took place in the 19th Century when two Westcombe landowners Colonel Henry Upton Lamyatt and Mr Everard Creech, were competing to purchase a piece of land, and they needed to sign legal papers which had been brought down by train from London to Cranmore Station. Both men had selected a local runner to transport the papers from the station over to Westcombe for signature and then back to Cranmore to return on the next train. The first set of papers back to London would assure the owner of making their fortune in Cotton and Tea. Colonel Lamyatt and Mr. Creech each chose a local runner from the same Batcombe family named Radforyde. The race was won by Benjamin who on the return run from Westcombe ran up the steep Small Down Hill saving valuable seconds and avoiding the ford so getting back to Cranmore Station first. This year race will be run under AKA rules (min age 15) and will be in aid of local charities, 1 lap undulating on roads and trails, through fords and fields. 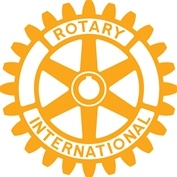 To find out how to enter the Cranmore Chase go to the Brue Valley Rotary Club web site. This entry was posted in Brue Valley Rotary, Cranmore Chase, Local Support, Our Fund Raising Projects and tagged 10k Multi-terrain run, Brue Valley Rotary Club, Cranmore Chase. Bookmark the permalink.